Anyone who has played blackjack even once knows how badly it hurts when you are holding cards with total value of 19 or 20 and the dealer still manages to beat you. It is indeed frustrating, making you wish there was some insurance to save you from losing the game with such promising cards in your hands. 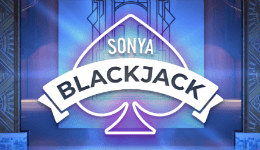 Apparently, casino owners are well-aware of the resentment this situation may cause, which is the reason why sly managers have invented the Lucky Lucky blackjack side bet. Lucky Lucky is like any standard blackjack game, with the exception of offering this particular side bet, beside the standard game. You shouldn’t beat yourself if you haven’t heard of it, since in blackjack terms it’s a relatively new game. It was invented and patented less than a decade ago by Aces Up Gaming. Currently there are only 850 tables with this game available and only in US and Canada. Luckily, now you can also play this game online as well. 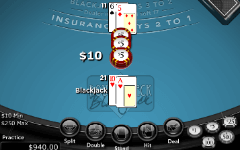 Lucky Lucky blackjack can be played with different number of decks, but in most cases the cards will be dealt from a six-deck shoe. 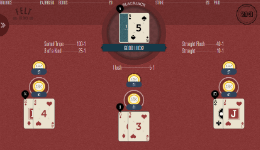 After making your standard blackjack wager, you can put some coins at the Lucky Lucky side bet circle. Casinos have their limits for this bet which usually go from $1 to $25. It is important to mention that as it usually goes with side bets, it does not affect your standard blackjack bet to any degree, therefore, your blackjack bet can win and your side bet can lose or vice versa, at the same time. 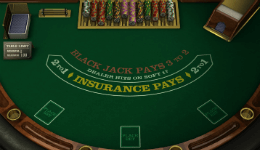 While you are obliged to make a standard wager in order to keep your place at the blackjack table, the Lucky Lucky bet is optional, so you may use it from time to time or not use it at all. However, if you make this side bet, check the value of your cards, as well as the value of the up card on the dealer’s side. If your first two cards total 19, 20 or 21 you win. If not – you lose, unless your first two cards and the dealer’s up card make a combination of 6-7-8 or 7-7-7. Under these rules the house edge is 2.66%. 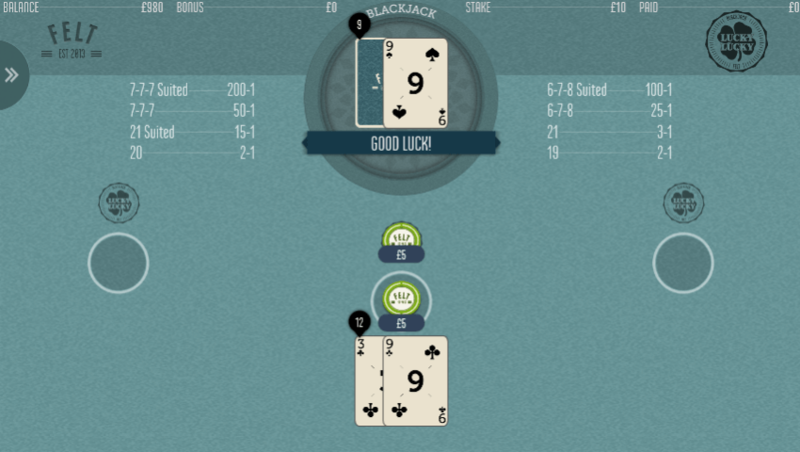 In online version of Lucky Lucky blackjack, the payout for Unsuited 6-7-8 is x25 vs. the original x30. We will review the online game in the last section of this article. Lucky Lucky Blackjack is a decent side bet by all means. While casinos prefer side bets that pull out the money from the players promising tempting payouts like the Lucky Ladies side bet, this side bet could become your favourite for a good reason. Statistics say that every fourth Lucky Lucky side bet pays back to the players. A house edge of only 2,66% beats many casino games and definitely higher than other popular side bet games, such as Perfect Pairs or 21+3 blackjack. Lucky Lucky gives you a chance to exercise your gambling skills on the main game with additional excitement and reasonable degree of risk. Naturally, the payout is unavoidably connected with the risk you take, so in most cases your wins will not exceed 2:1 or 3:1. Yet, for some standard blackjack can sometimes become boring since it doesn’t offer huge payouts, unless the casino allows high maximum bet limits. The Lucky Lucky side bet, on the other hand, can bring you massive wins of up to 200:1. Feeling lucky? Go for it! Currently there is only one online distributor of this game and that’s Felt Gaming. As we’ve mentioned before, the payout for Unsuited 6-7-8 was lowered from x30 to x25 and therefore the house edge here is 3.9% vs. 2.66% which you will get in land based casinos. One of the advantages of playing online, is the wider betting limits. The minimum bet is just $/€/£ 0.5, while the maximum bet is $/€/£ 500 per hand (and you can play 3 hands per round). The side bet can go from 0.5 and up to 250. Currently there are only two online casino sites that offer Lucky Lucky blackjack online: Unibet and Betsson. Unfortunately, none of them accept blackjack players from United States.